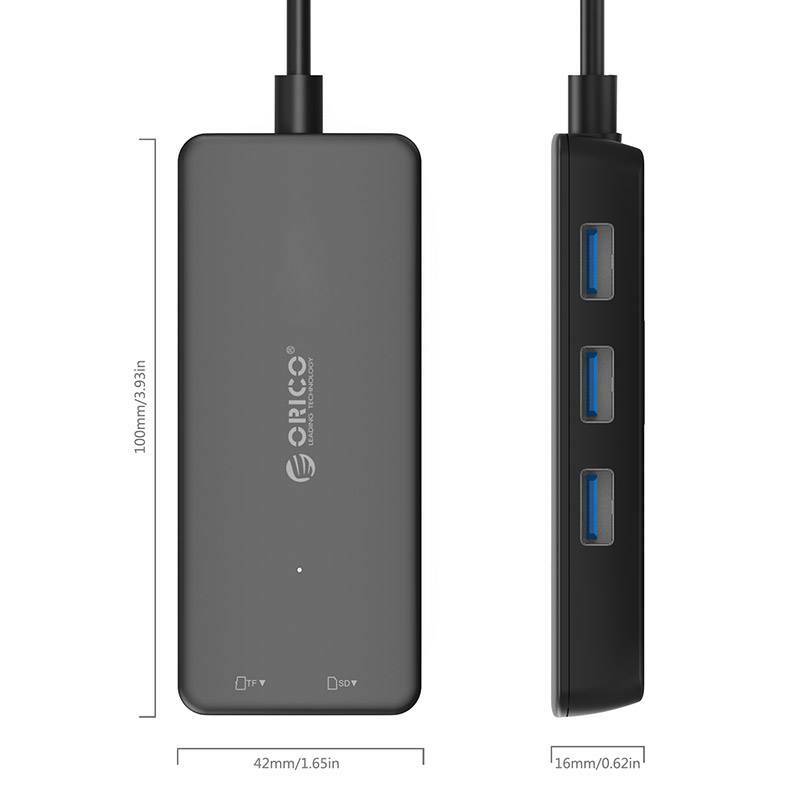 Looking for a card reader and a USB hub? 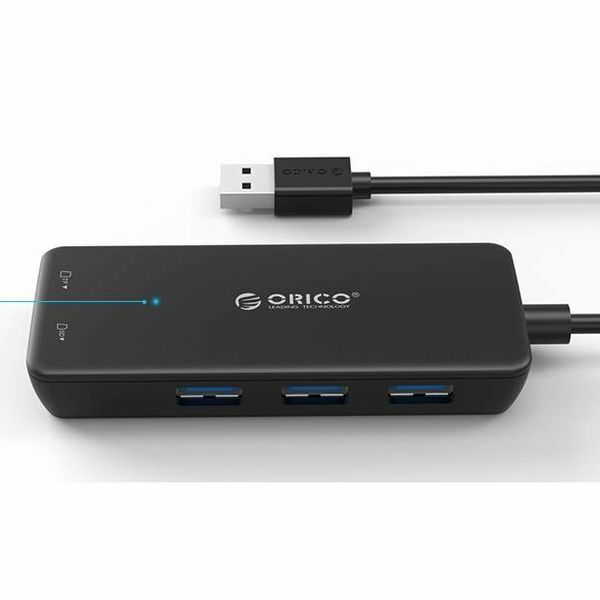 Then this is the combination you are looking for. 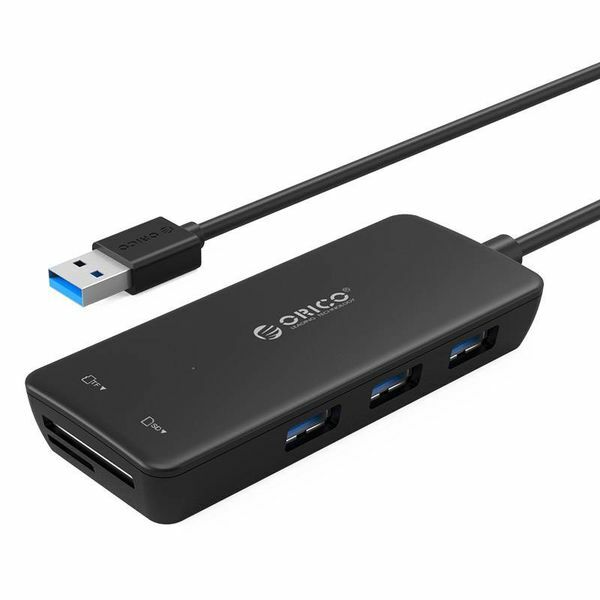 Three USB3.0 type-A ports with an SD / MF card reader. 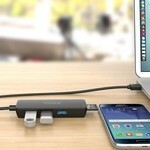 Enjoy the convenience that this USB hub with card reading has to offer. 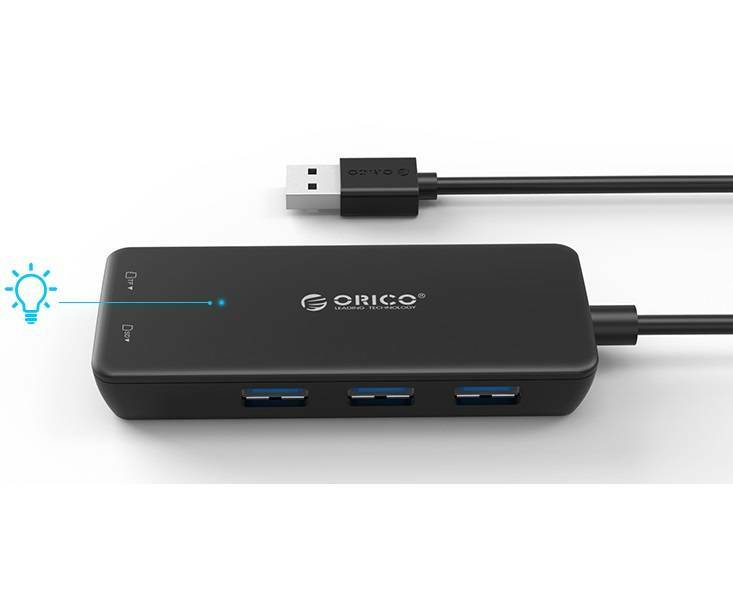 The USB hub uses the 3.0 technology, making long charging times a thing of the past. 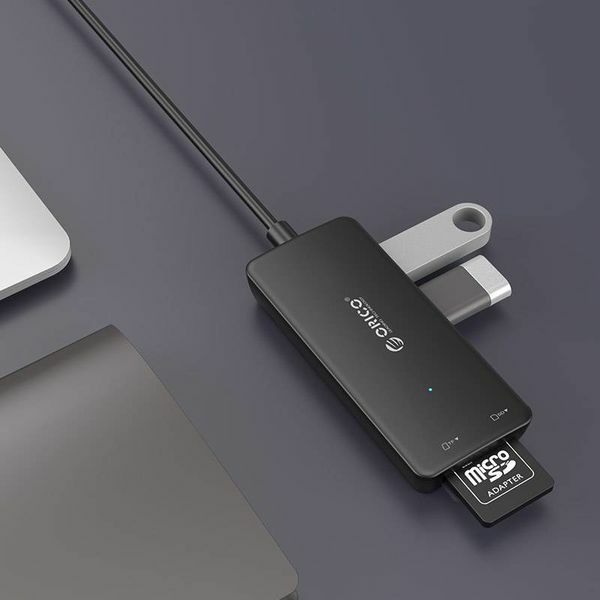 With a speed of up to 5gbps, you can easily transfer movies, books, and photos. 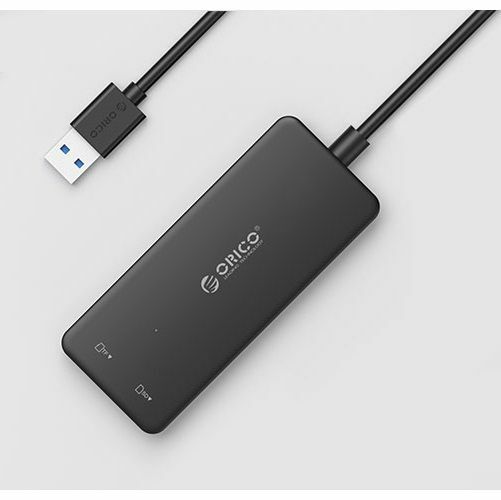 Up to ten times as fast as USB2.0! The unique thing about this USB3.0 hub is the card reader located at the bottom of the hub. 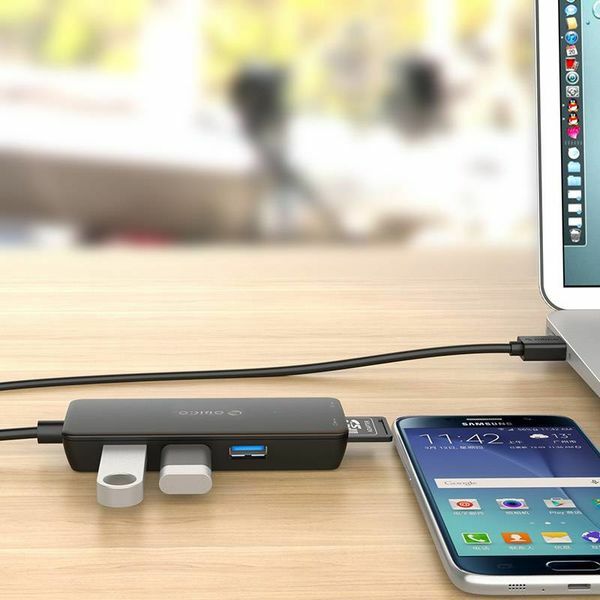 The USB3.0 hub with card reader is compact and makes it possible to take anywhere with ease. To get a picture of the dimensions, the USB hub is just slightly smaller than the Iphone 6S. The USB3.0 hub is made of heat-resistant ABS plastic. In addition to the functionality, Orico also paid much attention to the appearance. 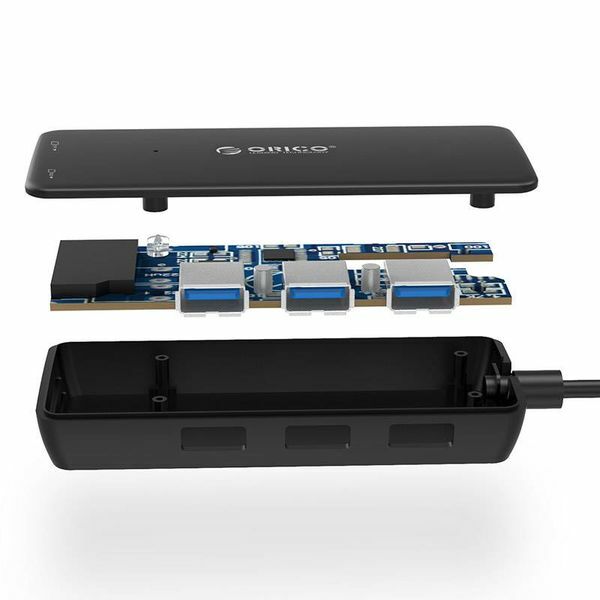 The result is a sleek design that is finished with a matte finish. 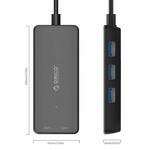 The USB3.0 hub with card reader is widely supported by Windows, Linux and Mac OS. 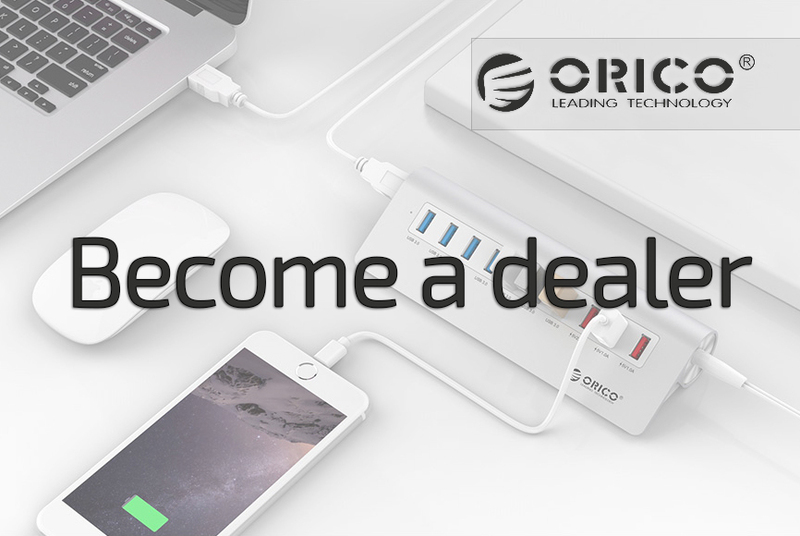 With three USB3.0 connections you can easily connect multiple devices such as your mobile phone, digital camera, hard drive.